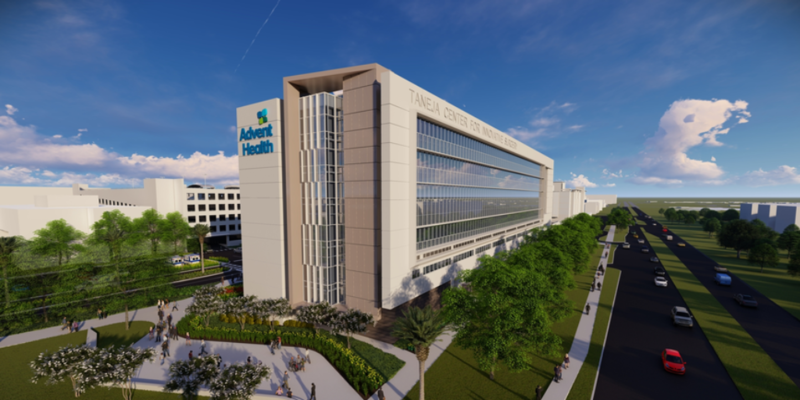 Florida Hospital Tampa, part of Adventist Health System, has broken ground on a six-story, 300,000-square-foot patient and surgical tower at the corner of Fletcher Avenue and Bruce B. Downs Boulevard in Tampa. The $256 million expansion project will be known as the Taneja Center for Innovative Surgery and is slated to open in 2021. According to a press release, it will feature 24 new operating rooms, a new hospital entrance and more than 100 private dedicated surgical care beds. It will create an estimated 117 clinical jobs in its first year of operation, and 587 jobs by the fifth year, the release states. The family of Jugal and Manju Taneja provided a generous gift toward the expansion project — the largest donation ever to the hospital’s west Florida division.